If you aren’t yet familiar with Google Forms, now is a good time to get acquainted with this free yet powerful service. Perhaps not as popular as their other apps, such as Docs and Sheets, Google Forms is a quick and easy way to collect information from your users via online forms. As well as being shared via email or published on their own web page, Google Forms can also be added to your WordPress website in just a few clicks. That’s exactly what we’re going to show you how to do today in our guide on how to add Google Forms to your WordPress website. Whether you want to create a simple contact form, a client work request form, or a something much more complicated for your WordPress website, by the end of this article you’ll have all the information you need to get started. As mentioned, Google Forms is just one of the many free to use online apps and services from this search engine giant. 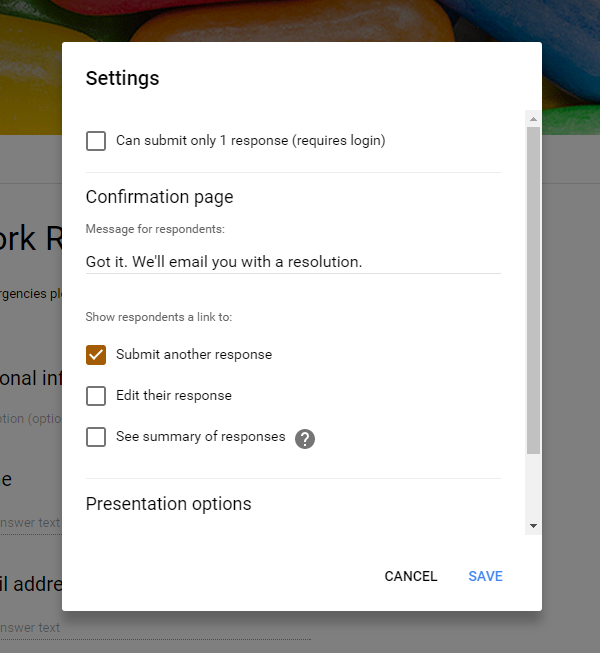 Anyone with a Google account can start creating responsive forms that can be used to ask questions, collect contact information, host quizzes, accept orders, receive uploads, and almost anything else you can think of. The results and submissions from your forms are very easy to access and are all stored in the cloud as part of your Google Drive account, although you are free to download them at will. You also have the option of viewing the submissions in a Google Sheet document for advanced analysis. When it comes to creating your forms, there are plenty of templates to choose from, covering a wide range of uses – all of which can be edited through the highly intuitive Google Forms interface. 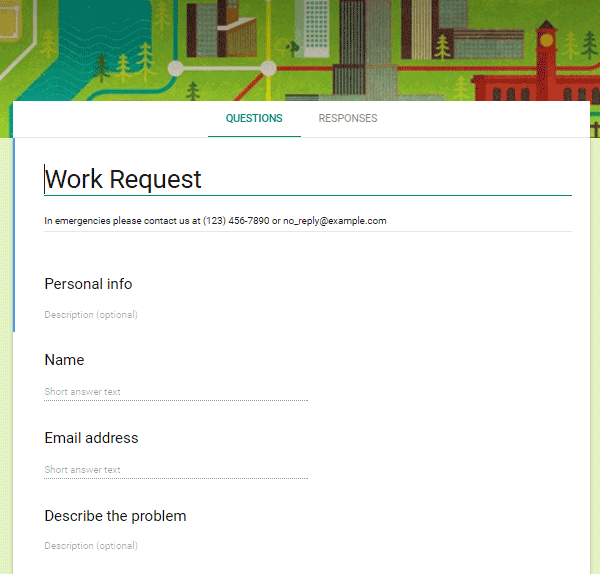 If you need to collect information online, whether its client queries, support requests, or product orders, Google Forms is well worth considering as a highly flexible and powerful solution. So let’s find out how to quickly create your first Google Form and add it to your WordPress website. As we’ve just established, Google Forms is a powerful and effective way to collect information online. But how do you actually go about creating a Google Form for use on your WordPress website? We’ll the first step in the process is to create a Google account. 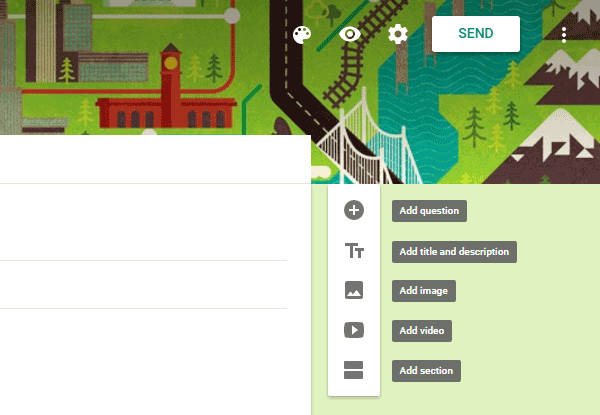 After that, you can either log directly into Google Forms or access this app through your Google Drive dashboard. 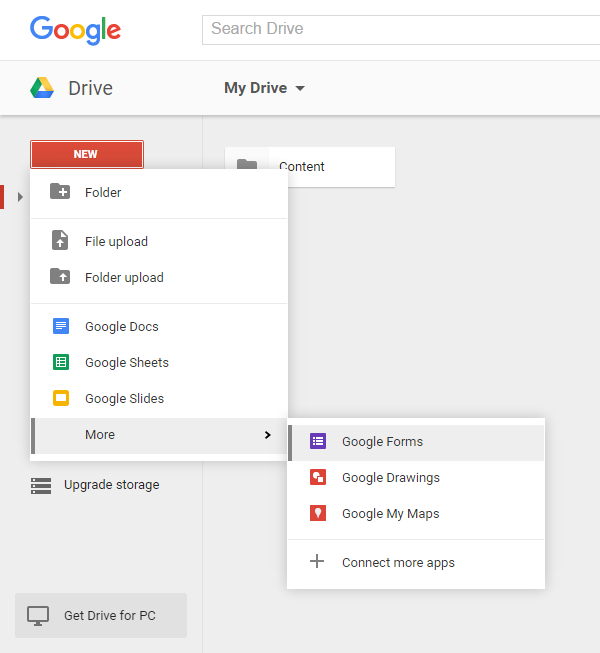 From Google Drive, you can switch to the Forms area by clicking on the New button on the sidebar menu of your Google Drive dashboard. Then click on the More link, before selecting the Google Forms menu item. Depending on how you’ve accessed Google Forms, you will either be presented with a blank form, ready for you to start work on, or a selection of Google Forms templates that can serve as the foundation for your own form. Whether you choose to start with a blank form or use one of the templates, adding your own content is as easy as pointing and clicking on the user interface. As well as typical form elements, such as fields and buttons, you can also easily add a range of other content to your forms. This additional content could include an explainer video from YouTube, images from Google Photos, questions, and of course, text. You can quickly preview your form at any point, and changing the color palette for your design is very easy too. There are also a number of themes to choose from which can transform the look of your forms in an instant. You’ll also find a few settings, which allow you to configure how your form functions and is accessed. These settings cover enabling multiple responses from a single user, shuffling the question order, requiring a user to be logged in, and customizing the submission confirmation message. When using Google Forms, it quickly becomes apparent that while there are some useful forms plugins available for WordPress, most of them can’t compete with Google Forms in terms of features and ease of use. Once you are happy with the form, you can make it available by clicking on the Send button in the top right corner of the screen. The form can be shared via email, through a link, or embedded on a web page. There are also handy buttons for sharing it on social media. The quickest way to add a Google Form to a WordPress website is to copy and paste the iframe code into the HTML editor of a post or page on your website. While this method does display the form, it also includes the formatting and styling from Google Forms. There are also additional links back to pages on the Google website. These links could confuse your visitors or cause them to abandon your site prematurely by following a link. For some projects, this will be fine, but for others, applying the presentation of your WordPress theme to the form and removing the Google branding is preferred. If this applies to your project, then read on as we’ll shortly be covering a free plugin that gives you more options for adding Google Forms to a WordPress website. 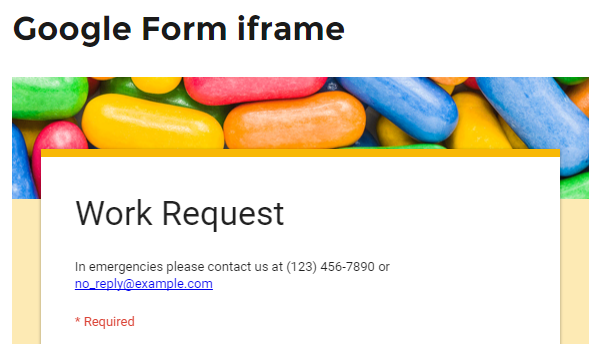 Before we get to the Google Forms plugin, though, let’s take a quick look at how the form submissions are handled to give you a better idea of what this service has to offer. Once you’ve made your form available to your audience, either through a shared link or via your website, you can start monitoring the form submissions. This takes places through the responses tab on the form designer. One of the great features of Google Forms is that it makes it easy to view responses in real-time, either individually or as a summary. You can also quickly view the responses in a Google Sheets spreadsheet, giving you the ability to filter and interrogate your responses in many different ways. Enabling email notifications for form responses is another useful feature that will help you keep track of user submissions. As we’ve already covered, the easiest way to add a Google Form to your WordPress website is to copy the iframe code and paste it into your posts and pages, through the HTML view of the editor. 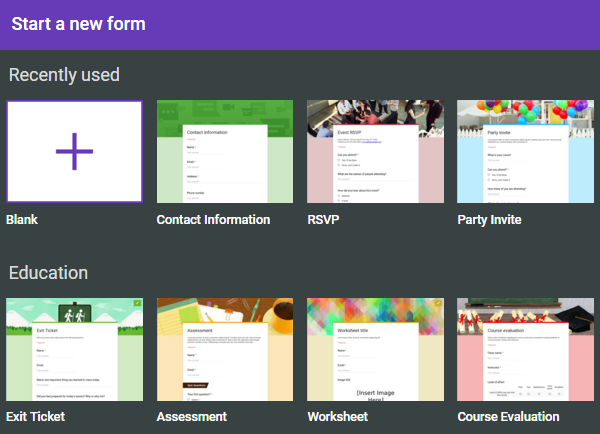 However, if you want more control over how your Google Forms are displayed, then the free Google Forms plugin is well worth checking out. One of the key features of the free Google Forms WordPress plugin it that it removes the Google wrapper HTML from your forms and embeds them into your posts, pages, and other areas of your website. This removes the links to Google and some of the presentation elements from your forms, helping them blend in with the rest of your site. Another good reason to use this plugin is that it makes managing the Google Forms you’re using on your website a little easier. Each form is first added to your website through the plugin dashboard and then inserted into your content using a shortcode. This makes swapping and replacing forms a lot easier, should you need to do so in the future. With the Google Forms plugin, you can set a custom confirmation page, rather than displaying the default Google Forms confirmation text. There’s also the option of fighting spam by displaying a captcha field, as well as emailing a copy of the form entry to the user for their own records. The advanced features of this plugin allow you to override the CSS of your theme and apply custom CSS to the appearance of your forms. You can also log additional information about your users who submit form entries and override some of the Google form text. Once you’ve created a form in Google Forms and then installed and activated the plugin, you can start adding the forms to your website. From the Add New Google Form screen on your WordPress admin area, you can enter the URL of the form. You can find this URL by clicking on the Send button on the form page on Google Forms. Then, from the send popup, click on the paperclip icon and copy the link URL. Now switch back to your WordPress website and paste this URL into the Form URL field. You also have the option of adding a custom confirmation URL for the form. This could include another post or page on your site that will be displayed after a form entry has been submitted, for example, a thank you page or a list of your most popular content. With the Google Forms plugin, you can enable email notifications and then specify the email address where the alerts will be sent. There are a few more options and settings to explore too. Once you are happy with the details, click on the Publish button to add the form to your dashboard. Now it’s time to publish the form so your visitors can access it. Each Google Form that you add to your WordPress website is assigned a shortcode. 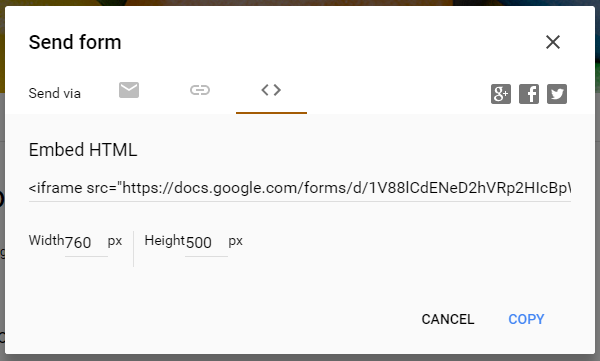 This shortcode gives you the ability to easily insert a form into your posts and pages, without having to visit the Google Forms page and copy the URL. Thanks to the use of shortcodes, it also means that should you need to replace a form that is displayed on your site, you only have to change the link on the plugin page, rather than editing each post or page that the form has been added to. To add a Google Form to your website, you can now copy the corresponding shortcode and then paste it into a WordPress post or page. Now, when you publish that piece of content, the shortcode will be replaced by the corresponding Google Form, ready for your visitors to start interacting with. The appearance and formatting of your form will vary, depending on your WordPress theme of choice. However, by using the Google Forms plugin, you are free to add your own custom CSS to modify how your forms look. The free Google Forms plugin is easy to use and does enhance the experience of adding Google Forms to your WordPress website. Therefore, it’s worth using if you want to make your forms to look more like a core component of your website, rather than an added on extra. However, as we covered, the plugin isn’t necessary if you simply want to quickly add a Google Form to your WordPress website. There’s no denying that Google Forms is a useful tool to have at your disposal. For basic contact forms, a plugin like Contact Form 7 or the extendable Ninja Forms is probably the best option. However, if you have more advanced needs, exploring the features of Google Forms is highly recommended. What type of form are you planning on creating? Please share your thoughts on Google Forms in the comments below. 1. the iframe embed does not look good enough to be a real option. 2. the Plugin you referenced does not seem to work with the current version of Google Forms. Mike Walsh, the developer of the plugin in question said he will probably not make a version for the new Google Forms. Is there another plugin anyone has found that works? That is a shame that this plugin isn’t currently working with the latest version of Google Forms. Hopefully the plugin will be updated by someone else, at some point. Personally, I prefer not to use the newest version of Google Forms anyways! They took away a lot of the customization of how the forms look. 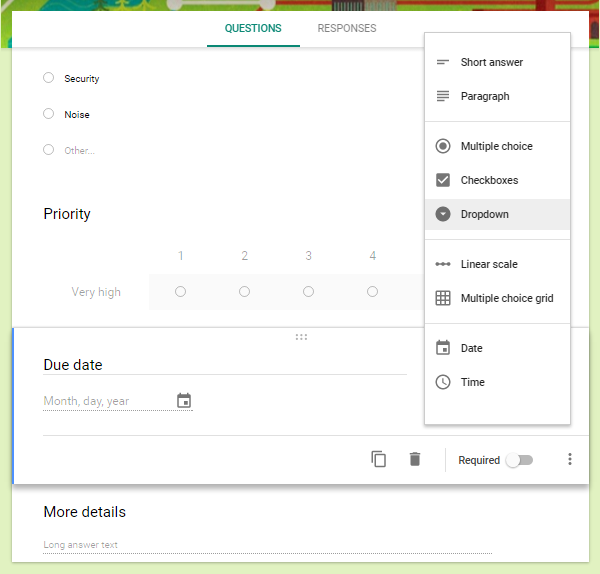 Revert to the older version of Google Forms. Those forms are ridiculously basic an if you “if you have more advanced needs” you need anything but Ggforms. Yeah I was a little surprised by the ” if you have more advanced needs…” statement. From what I’ve gathered, you can use Ninja Forms to create front-end forms for adding/editing wordpress content etc, can’t imagine Google Forms doing that on its own. Google Forms can be used to create advanced forms and you can do a lot with them, such as ask questions, host quizzes, accept orders for products and client work, receive uploads and more. I wouldn’t say they’d outperform Gravity Forms on all fronts. But considering Google Forms is free to use, and especially what you can do with the data once it’s been submitted via the form and fed into the Google ecosystem, such as Sheets, it is IMO an attractive form solution. All right, let’s try this then. I dare you to find a single example where Gforms is better than Gravity Forms. There is absolutely none and that’s why your conclusion is erroneous and quite misleading for people with “advanced needs”. Does gravity give me the ability to push the data I collect easily into a google spreadsheet? Is this process HIPAA approved? From what I can see “Google Apps customers who are subject to HIPAA and wish to use Google Apps with PHI must sign a Business Associate Agreement (BAA) with Google.” seems to be the advice from Google on this matter. I just used Google forms on a client site two days ago. She needed a simple and inexpensive way to collect payment and registration info for a fitness class. First I embedded a PayPal button on her site. I turned on the auto-redirect feature in PayPal, so that after the user’s payment was processed on PayPal, they were redirected back to a page on her website in which I embedded a Google form. The form collected name, email, phone number and whether or not the person has any health concerns. I set up the forms so that all of the info was collected in a Google sheet. Now she has all her students info in one spreadsheet. She loves it because now she can easily share the spreadsheet with the owner of the fitness studio who needs to keep track of her enrollment for billing purposes. The only downside I can see is that when someone pays for a class using a credit card, instead of a PayPal account, the auto-redirect feature does not work. The person has to manually click the link to return back to her website. A small inconvenience as now she will need to cross check to make sure that everyone who paid via Pal Pal also filled out her registration form. But not bad for a fast and free solution! Thanks for the comment Sue! That is a great real-life example of the power of Google Forms. Being able to share the form data like that has so many useful applications. Plus all the functions and queries you can use with Google Sheets really open up a world of possibilities. Great article, great tip. I have long sought such a solution and never occurred to me how easy it is. The major problem I have with Google Forms is that it’s impossible to make the iframe autogrow. I also dislike that it’s nifty interactive results charts can’t be printed. They are for screen viewing only. Great article! Does anyone know if Google Forms can allow a front end log in by my clients so they can see how many of their responses have been given? let’s say i have a group of clients tied to 1 account….So they will not give repeated responses. Thanks a million! 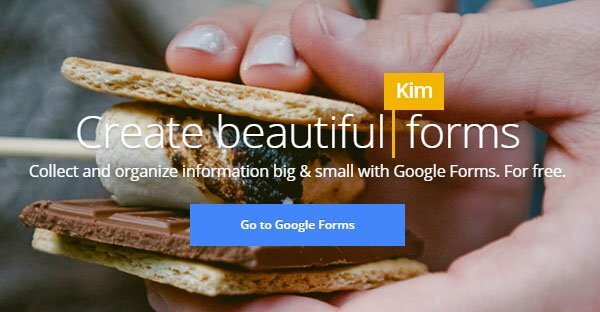 But considering Google Forms is free to use, and especially what you can do with the data once it’s been submitted via the form and fed into the Google ecosystem, such as Sheets, it is IMO an attractive form solution. I have been checking in with Google forms for several years now, and I am happy to note that they continue to improve their product. I agree with Joe that it is incredibly useful to have the data automatically collected in a Google Sheet, because that allows all sorts of options for manipulating the data (and much of that can be automated). As useful as that is, I would not use the word attractive to describe this tool as IMHO it still looks like amateurish on a web page. Linking to a Google Sheet aside, almost all the dedicated form options: Gravity Forms, Survey Gizmo, Wufoo forms, Fluid Surveys, ….. etc. 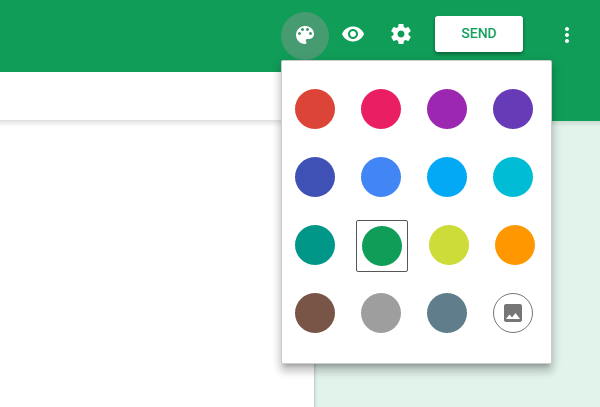 Leave Google Forms in the dust in terms of form features and aesthetics at this time. However, if you have simple needs, little to no budget, and are not picky about aesthetics look no further. All kinds of Add-Ons on the Google Sheets side of things. I have created PDFs that are automated on form submit! Great for working on a budget! Will definitely give it a try on my website. Try to look at jotform. It is in my opinion a much better solution to form, for example. can count. You can get results in your goggle drive in the worksheet you select. Just wondering – can the data collected by Google Forms be captured in a database? I’d like to use the form for data entry. I typically use a MySQL database. If Google Forms won’t do that, which of the other forms systems mentioned here will? A little while ago we looked at numerous forms including Google Forms to be used as a online time-sheet for a small local business. long story short ..
We chose to use Caldera Forms – Drag and drop responsive form builder. Some benefits that tipped us to use Caldera was (as the name suggests) the simple Drag and drop setup, and Responsive design. I currently use Contact Form 7 but have been struggling to operate it alongside fpdf to convert to pdf. Do you know if Google has the ability to convert form inputs to pdf then email somebody? Check out the Google Docs Suite paired with Ultradox… powerful stuff. Its a workflow engine with building blocks that you can really get granular with. We are trying to add a google form to our website but we are having tough time getting it to save. We have done everything you have said but it wont save. Could it be anything to do with the theme we are using on our site – we have Semplice installed. Thank you, Joe, for this step by step guide. Now I can easily add them on my blog.